how would we evaluate anyone with Frank, Burke, Mudiay, AND Payton here at the same time? We are losing our mind because???? mudiay and frank are just fine. H20Knick wrote: how would we evaluate anyone with Frank, Burke, Mudiay, AND Payton here at the same time? Ok, let's wait to get some games in.. The second half of the season is going to be interesting..
NYGM wrote: Ok, let's wait to get some games in.. If Mudiay was fine ,we wouldn't have gotten him for a bag of potato chips.. If Frank was fine,we wouldn't have brought in the guy that cost us a bag of potatoe chips. all this talk is just talking in circles for all players that arent in there prime...dished for 2nd rounders. we arent gonna win big now anyway...so this is the time to develop and these kids have the time to maximize when we have a team worth winning with. this is better than any situation we've had in 18 years. we have young talent...we have picks...we have management investing in young assets. Havent had that in.....................................we are fine. We have Hardaway who is having an off year. Are you a fan of his? We have picks...as wes should..
Are we tanking next year? taowave wrote: Are we tanking next year? Start embracing it, my man. on a good team...hes a 7th man and if we penny pinch and do well in the draft...thats whats gonna happen. KP has an ACL tear but will come back and evolve. you guys love positions...idgaf about positions...i see 2 guys that can get me 10 assists any given night..i see 2 guys that can defend either back court position. I see Mudiay being a better spot shooter now than before. Frank has been getting better as a shooter not only before the NBA but during his rookie year. Tomorrow is brighter than today. I'd start both of them before the end of the year. You cant have enough multi positional defenders/playmakers. and yes...we are tanking next year UNLESS we hit big on this years draft and get a guy that can carry these scrubs to the playoffs...if so things change if not we'll have 2 more lottery picks not on this team...2 years of maturation of our back court right when KP comes in and plays a full year. we can literally have 2 players better than KP by the time he plays a full year again...and IDGAF what you haters say...if KP is ur 2nd or 3rd best player .......and everyone is under 25....we get to build what the Spurs did which is all ive wanted since i joined this board. I WANT 15 YEARS OF SUCCESS...I'm selfish and have seen over 20 bad years....and the ONLY way to do that...is to go through what we are going through now. 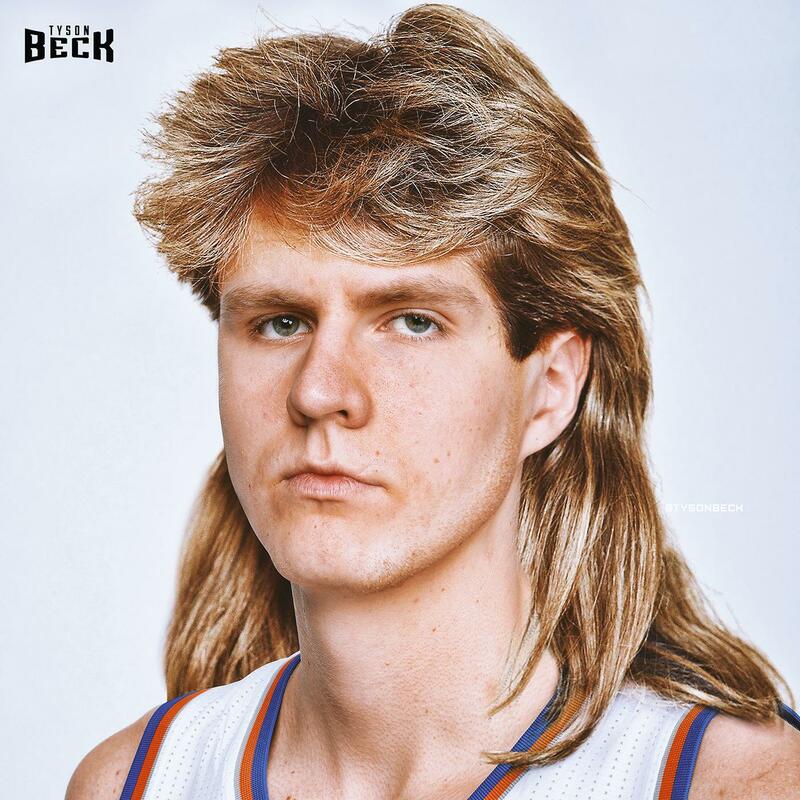 Btwn 2 lottery picks/Frank/Mudiay i expect 1 of them to be better than KP...if we are lucky...2.
we havent been in this position in.......30 years. you can't have a 7th man who makes 18 mil a season lol. Either he proves he can be a starter on a championship level team or he takes a paycut and serves as 6th/7th man. But I wouldn't pay him this much again to be a 7th man. I am officially going on record stating that Mudiay was brought in here to be our starting PG..
taowave wrote: I am officially going on record stating that Mudiay was brought in here to be our starting PG.. This year? Next year? Down the road?